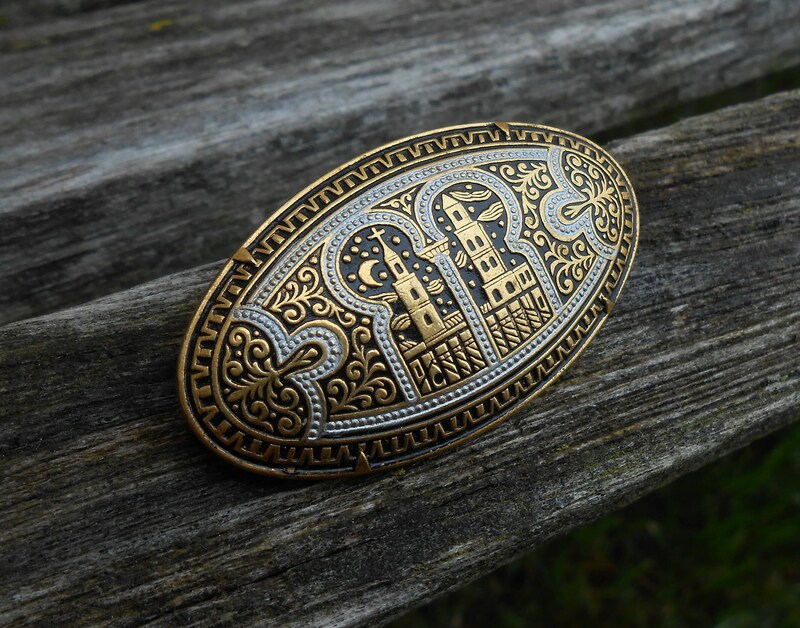 Vintage Damascene Pin. Church, Christian. 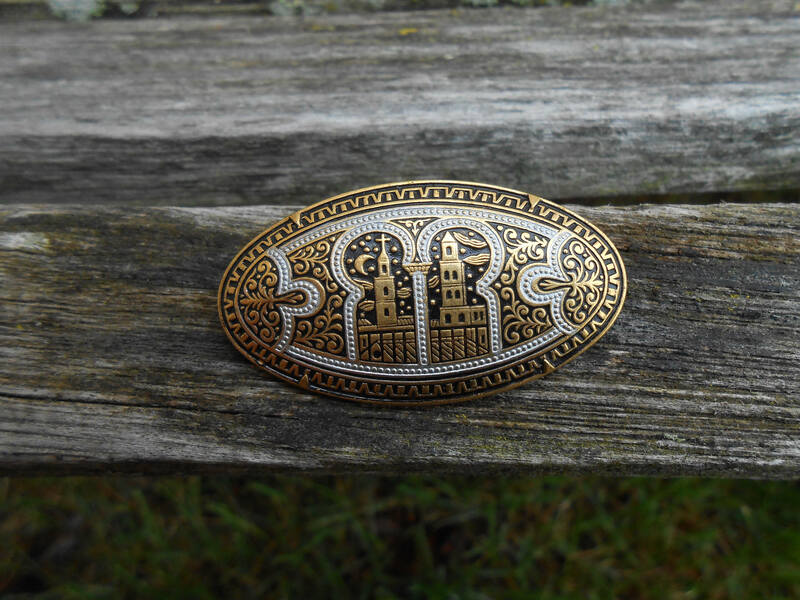 Brooch. Gift For Mom, Mother's Day, Christmas, Anniversary, Birthday, Gold, Black. 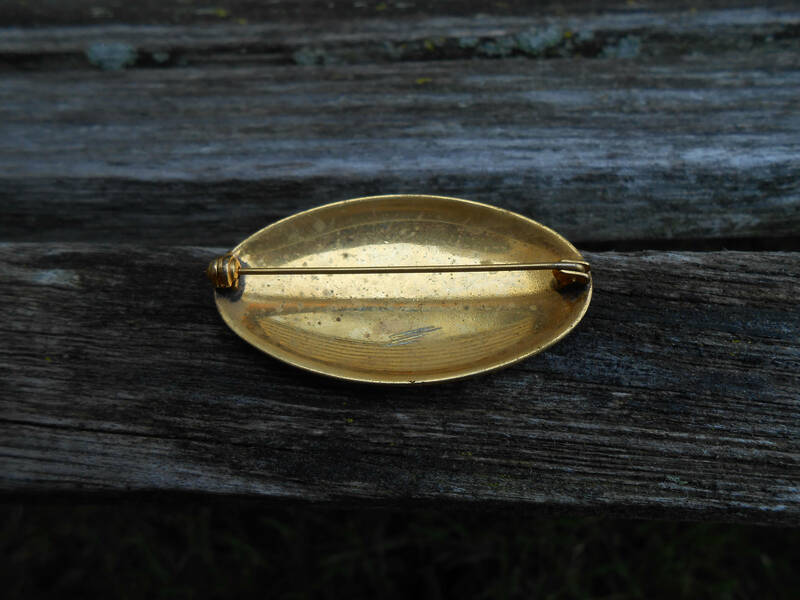 This wonderful, vintage brooch is so cool! 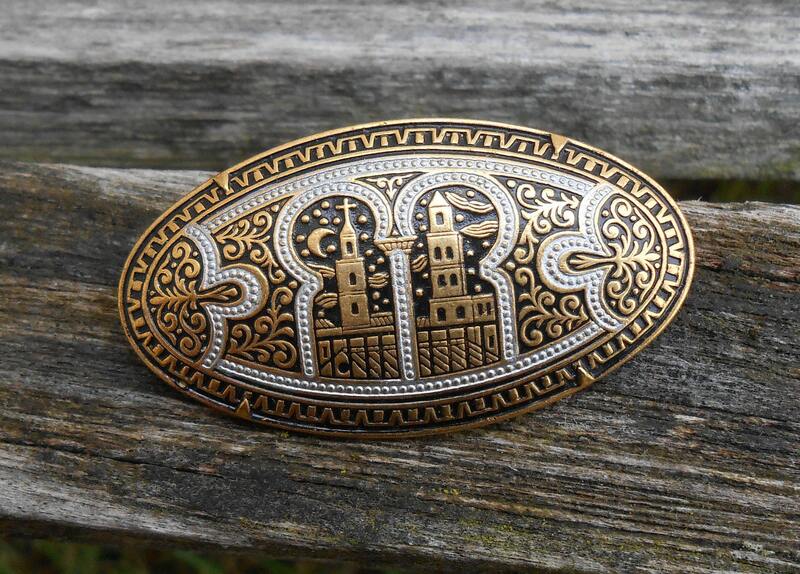 It is a gold and black Damascene pin, with a church on it. 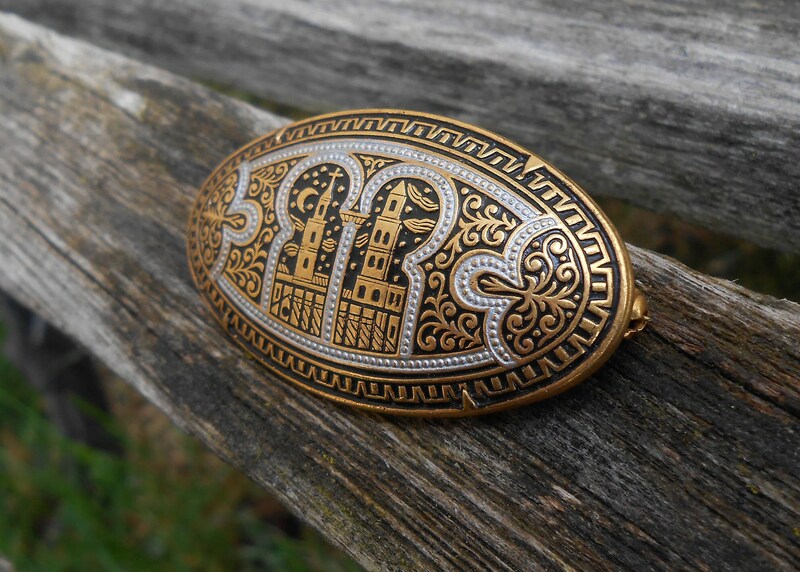 Made in the 1960s, it is in excellent condition. It measures 2" x 1 1/8".